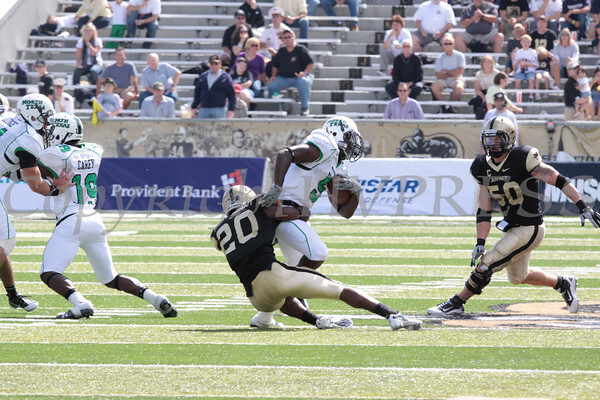 Army DB Jordan Trimble (#20) brings down North Texas running back Lande Dunbar (35) during their game in Michie Stadium at the United States Military Academy in West Point, NY on Saturday, September 18, 2010. Army defeated North Texas 24-0. Hudson Valley Press/CHUCK STEWART, JR.